Updated: September 1st 2016 Congratulations! You have just become a dog owner, often referred to as a pet parent. One of your first responsibilities to your German Shepherd puppy is to give him or her a good name. There are a variety of popular German Shepherd puppy names that you can choose from. It is also important to consider your German Shepherd pup’s personality when choosing a name. You can name your dog any name you would like. However, keep in mind that if you plan to register your dog with a kennel club, the breeder may have specific rules regarding the name. It is wise to ask the breeder at the moment you get your pup in order to adhere to their guidelines. Your precious baby girl German Shepherd needs a name that is going to express her unique personality. While some female German Shepherds are shy and friendly others can be spunky and energetic. The following names are some of the most popular German Shepherd girl names that will help you on your journey of naming your pup. If you like our list, please share it! 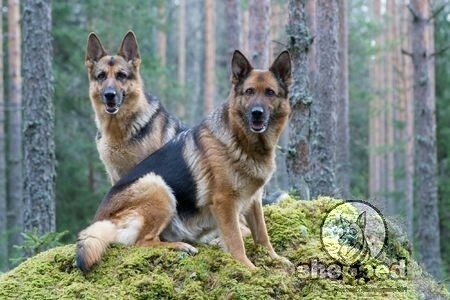 Your German Shepherd boy should have a good strong name that is quick and easy to say as well as express his character. The following names are popular for male German Shepherds. Now that you have accomplished the task of naming your German Shepherd, you will want to explore a variety of commands that are useful to teach your GSD. While most dog owners will enjoy training their dog using basic sit, come, stay commands in their native language, other dog owners may want to stay with tradition and learn a few German commands. You don’t have to speak German fluently, but it is essential you understand and know the command properly so that you can teach your dog the proper reaction to your German verbal command. Below is the English word compared to the German translation. You will want to only use the German word when training your dog in order to avoid confusion. Dog owners should use these words in combination with hand signals when possible. German Shepherds are highly intelligent and you can communicate with them through body movements and verbal words. You should never shout the words, but instead, say them with strength and leadership. It is wise to teach G﻿﻿erma﻿﻿n dog commands to your pup or dog as soon as you bring him or her home. This will help them adapt to the new language. Many dog owners become concerned if they speak to their German Shepherd in two different languages. 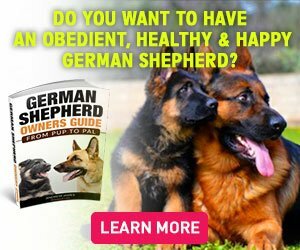 You should not worry since the majority of your obedience training is done in German. As long as your dog understands the German verbal words and corresponds correctly to each command it is not necessary to train your dog in another language. However, you can praise your dog verbally in your native language in order to genuinely express your praise for your German Shepherd’s positive behavior. German dog commands should be used by everyone that lives in the household at all times in order to prevent confusion for your dog.